This book takes a multidisciplinary approach to the issues surrounding freedom of expression, looking at the current legal position in a number of European countries as well as engaging with the wider debates on the topic amongst sociologists, political scientists and economists. 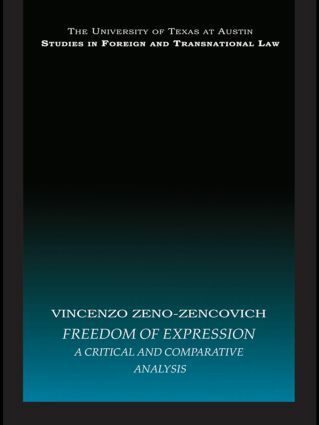 In the book Vincenzo Zeno-Zencovich addresses recent developments which have had a bearing on the debate including the changes in communication brought about by the internet, and the growing role of the European Union and the Council of Europe. Freedom to Print or Freedom of the Press?